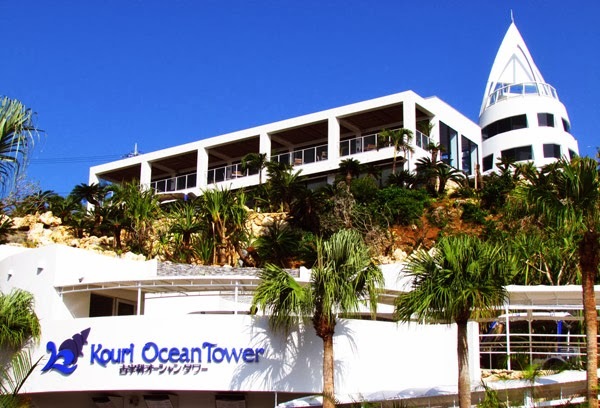 On November 23, 2013, Kouri-jima debuted its new attraction, the Kouri Ocean Tower. 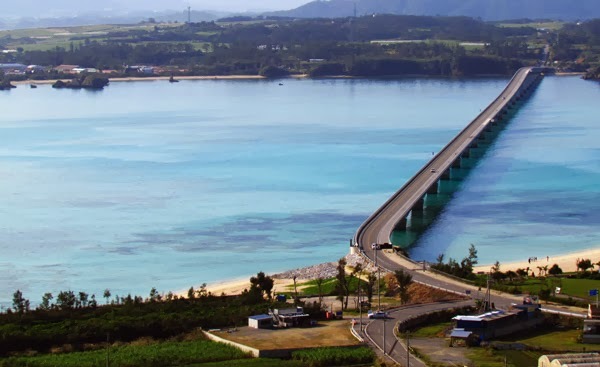 (1) It sits prominently high overlooking the oceanfront and from up-top, you can see the very visible Kouri Bridge, the longest toll-free bridge in Japan – stretching to 1,960 meters. (2,3,4) There are other attractions within the tower compound to make your visit more enjoyable. Please see information below for more details. Entrance Fee: Adults: 800 ¥, Junior and High School: 600 ¥, Elementary School Students: 300 ¥, Between Ages 0 and Elementary School Students: FREE. 15% Off for Group Rates (20 people minimum). Price subject to change. English Language. Currently, there are no guide pamphlets in English. However, it appears in the near future they will have publications in the English, Chinese, and the Korean languages. There is a 5 minute audio-guided tour in English on the golf cart ride to the main entrance, as well as some signs translated in English inside the Shell Museum. Entering The Facility (Please Read!). After you purchase your ticket you have two options to enter the main facility. You can either ride a golf cart (automated) that seats four people or walk on a circular ramp. Both will take you up to the Shell Museum. 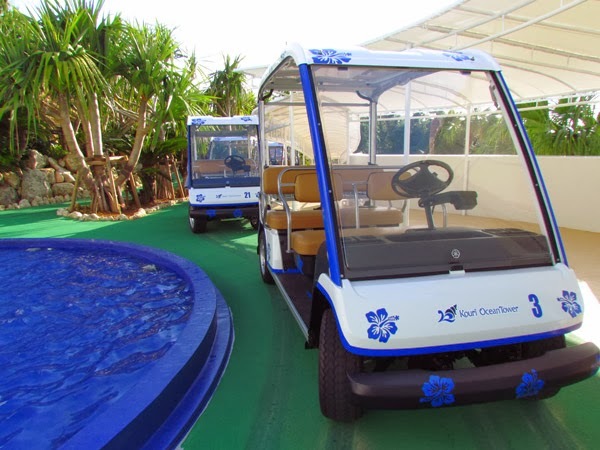 The golf cart ride offers a 5 minute audio-guided tour in English (also in Japanese, Korean, and Chinese). Here you will learn a little about the island's history and of the facility itself. For those using wheel chairs or plan on bringing baby strollers, you can waive the cart ride and use the walk-ramp instead. 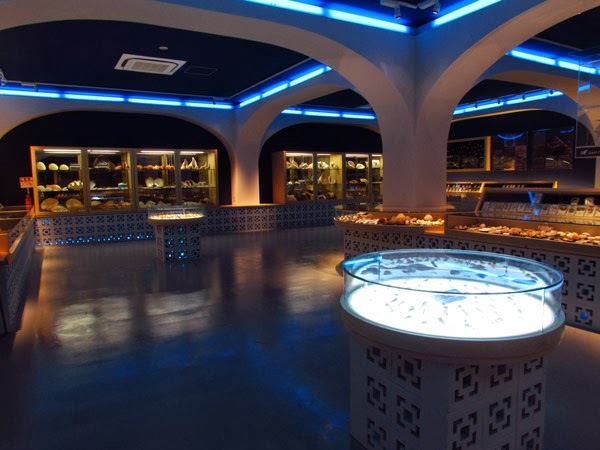 The Shell Museum. Inside the exhibit, there are approximately 1,500 kinds of seashells with over 10,000 on display. (5) You will find both the Japanese and Latin names displayed next to each shell. There are some explanation signs along the walls that are written in English, Japanese, Korean, and in Chinese. Cake Factory. Here you will find an assortment of locally-made pastry products, and are more than welcome to take food samples to your liking. 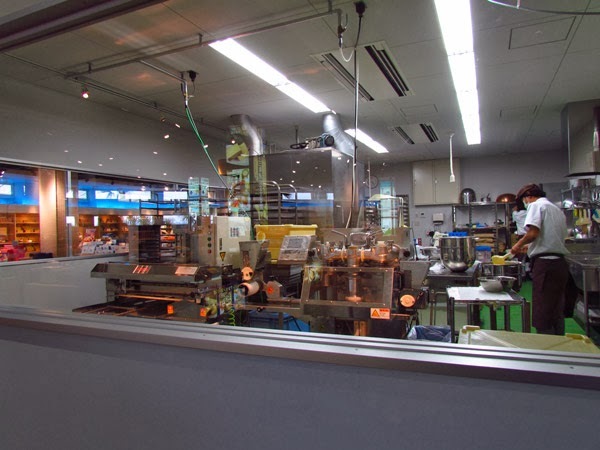 In the corner, there is a viewing window to the factory where you can watch staff members work as they prepare pastry items for that day. The Ocean Blue Restaurant. 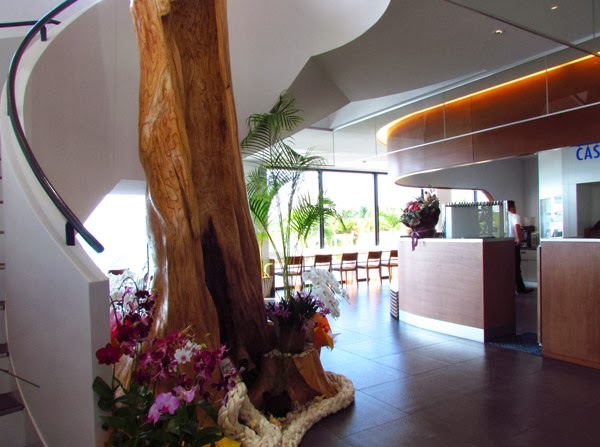 The compound does have a two-story restaurant with an outdoor patio where you can dine and enjoy the ocean view. Their feature menu items include Green Curry and their own in-house pizza. 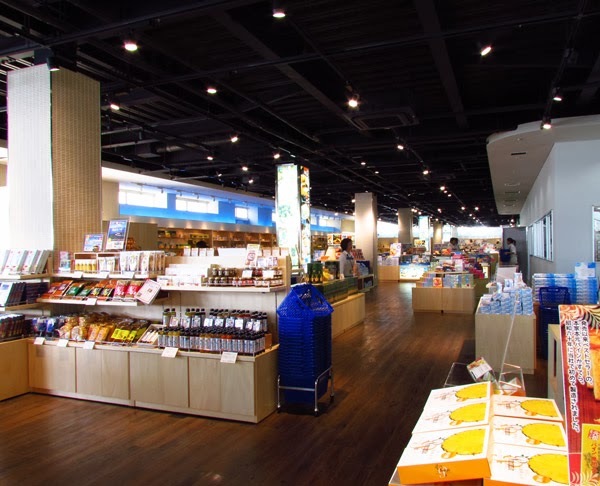 Price Range: Main course meals: 700-2300 ¥ per meal. Sweets: 350-420 ¥ per item. Drinks/Coffee: 420-525 ¥ per drink. *Prices subject to change. Hours: 10am-6pm. The Ocean Tower. The main attraction is the tower. 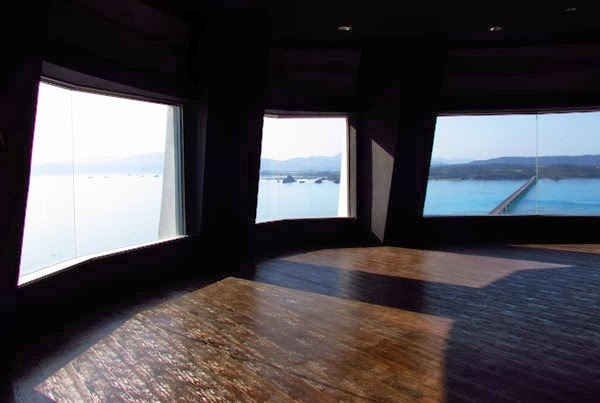 The top floor sits 36 meters (118 ft) above ground and 82 meters (269 ft) above sea level. 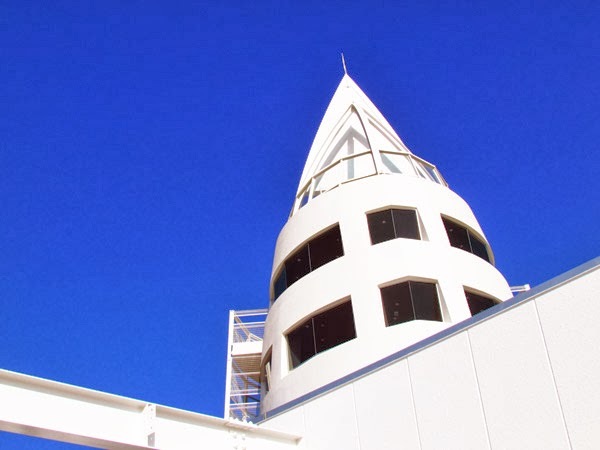 (5) You will notice that the white tower is designed much like a sail belonging to a boat. Its designers wanted to represent the island in such a way combining the beauty of the Okinawan ocean and the scenic landscape. 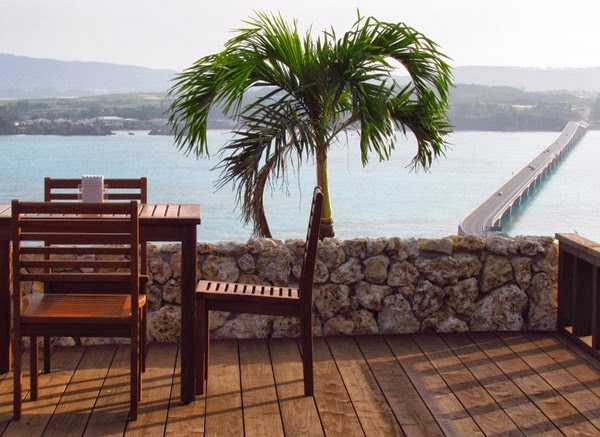 Few places on Okinawa can rival the scenic panoramic view from this location. Amenities/Parking. Parking is free. Restrooms available. An elevator is available to access parts of the tower. Related Articles. 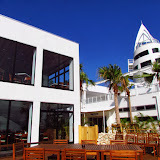 Mike's Ryukyu Gallery: The Kouri Island Ocean Tower. Direction. Kouri-jima is part of Nakijin Village. Take Highway 58 north to Highway 110. Highway 110 takes you across two islands, Oi-jima and Yagaji-jima. You will see signs directing you to Kouri-jima. At some point you will cross the Kouri Bridge to get to Kouri Island. The large white tower will be very visible from the bridge. As soon as you cross the bridge make the very first right. This will happen almost immediately. From there you will be able to easily navigate your way to the tower.